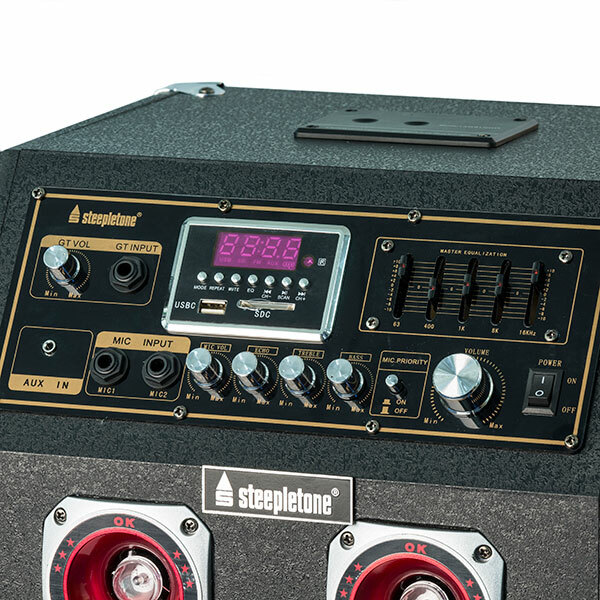 Enjoy an incredibly versatile sound system with the Modular Floor Box System with Laser Light Radio, Bluetooth, Mic Input, Guitar, Aux & USB/SD MP3 Playback. 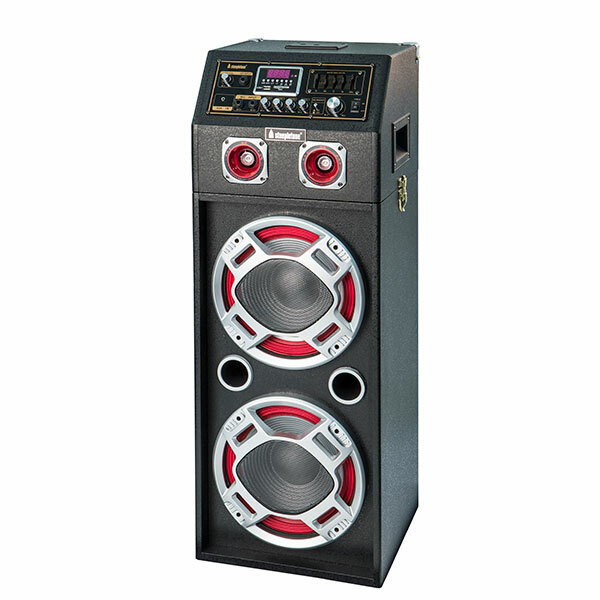 An amazing quality, powerful Speaker and Sound Amplifier System with LED Laser Light on top panel so you can entertain any crowd. Play MP3s, FM radio, USB devices, and phones through their dedicated charging points. And when you want to join in the fun, plug in a guitar or microphone (not included) to show off your musical abilities. Take the party with you as it comes with handles and wheels for easy transportation. Also plugs into a TV or DVD player. The LEDs are sound-activated (and turn on and off with a separate switch to allow you to set the mood) so it can be the centre of the party. 80W/90/100W Output Power - 4,000W p.m.p.o.